Some things in life are non-negotiable, yet tricky for instance lunch. When I was in High School lunch was an afterthought, perhaps a sugary soda or candy bar to hold me over till I got home and was able to eat some real food. My mom would be embarrassed to know this because she was a healthy food promoter before it became trendy so let's just keep this info our little secret. It's not that I didn't want to have a good lunch it's just I didn't like the options and eating in the cafeteria lost its charm back in the 3rd grade. I started class again with my Aunt and it was non-negotiable that I have a good lunch to hold me over till I got home in the evening because at my age living on candy bars and soda is kind of sad since I do know better by now. New binder filled with paper, pencils sharpened ready to go, and all I needed was a healthy lunch that would help me be a little better student. Oh that and my reading glasses, hmm that's weird I don't remember having to pack those back in High School. Muffins seemed somehow non-negotiable and necessary to add to the lunch box. Necessary for the muffins were a touch of sweetness and a hint of spice. Combine in large bowl all-purpose flour, whole-wheat flour (if you don't have whole-wheat you could substitute all-purpose flour), oats, flaxseeds, carrots, baking powder, salt, and pumpkin pie spice. Stir to combine. Add eggs, milk, honey, and coconut oil and stir until combined. Line a 12-cup muffin pan with liners and fill each muffin to almost the top. *These muffins were so tasty Hot Dog Dude and I decided they were too good to go to waste and ate the remainder of them. I love the flaxseeds but my daughter thinks they are gross. Then again she thinks most healthy items are questionable, she did tell me to make them with nuts instead of the flaxseeds and she will try them next time so I will have to update you on that one. 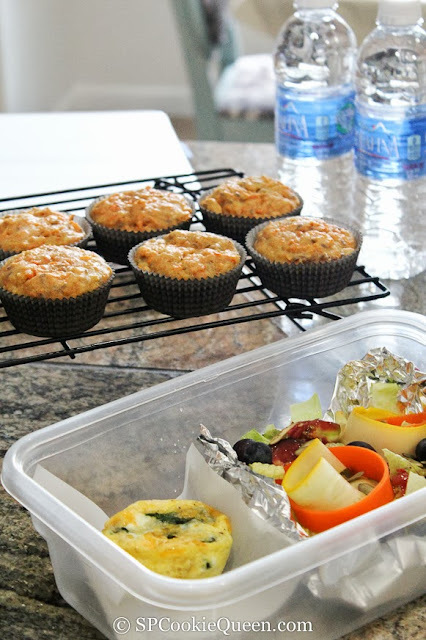 Muffins are great and I probably could have just made it through the day with a couple of them, but I decided a little protein and veggies would round the lunch box out nicely. Add the onion to a small skillet and cook for a few minutes on medium heat and then add the spinach and cook until it is wilted and remove from heat. Spray 6 of the cups in a 12-cup muffin pan with no-stick spray. 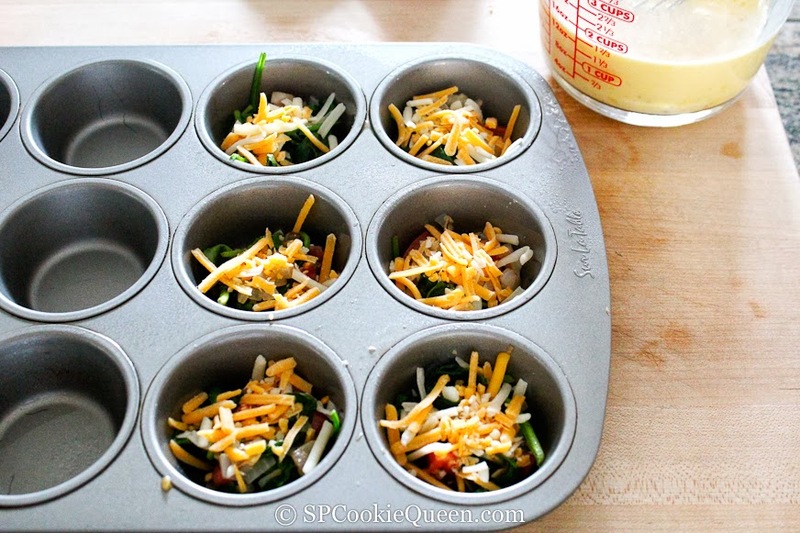 Divide the spinach between the cups, divide the tomato between the cups, and divide the cheese between the cups. Combine eggs, milk, and salt and pepper in a bowl and whisk until combined. Pour the egg mixture over the veggies and fill to the top of the pan. Bake in 350 degree F oven for 17-20 minutes. I packed everything up and put it in the fridge for a few before heading off and the quiches tasted just as good cold as they did warm. So it's up to you the way you would enjoy yours. The sky has been amazing here lately. One particularly spectacular evening I saw golden light streaming through my windows so I bolted outside with my camera to investigate. Mother Nature never ceases to amaze me. The power of a good lunch never ceases to amaze me either. Speaking of the power of a good lunch, please stop by my friend Dionne - Try Anything Once and help cheer her on in her hunger strike to bring attention to food insecurity. 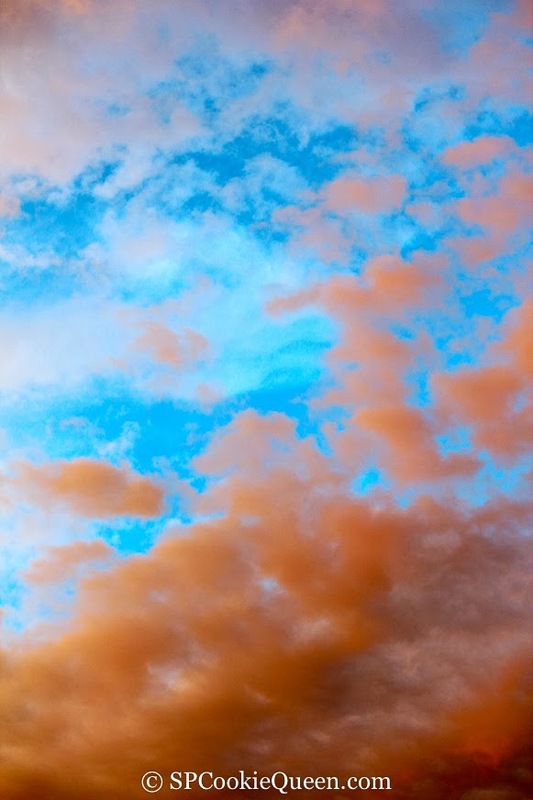 Hi Gina, what an amazing sky - thanks for sharing! I'll be sharing both these recipes with my sister who has 3 kids in junior school. Sooooo much nicer than the sandwiches that used to molder unloved in the bottom of my schoolbag. Your lunch looked so much better than my leftover Chinese food. I'll be making your cute little quiche and Carrot Muffins soon, as soon as I get some flaxseed. Have a great week. Becky if you can find them the Bob's Red Mills ones are some of the best ones I've found out here. Let me know. Both muffins and quiche are so delicious and nutritious, Gina. They are great for any meal. 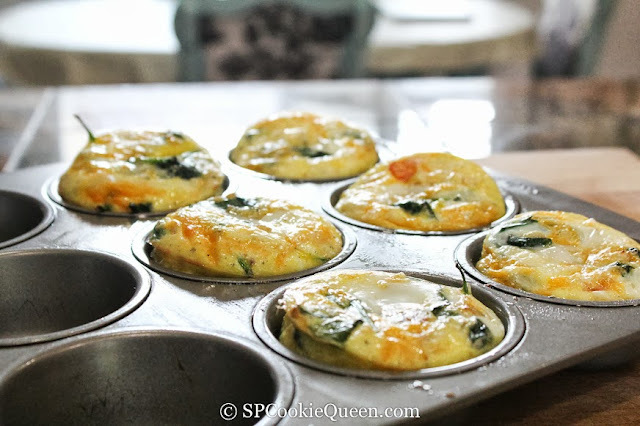 I love these muffins, so perfect for an afternoon snack! Yeah, when did those reading glasses happen? Weird. ;-) Great muffins! Almost makes me want to go back to school so I can have some. Almost. Maybe I'll just make them and think about school for a minute? Better idea. Fun post - thanks. Beautiful pictures of the sky...indeed amazing. Yes Gina...Mother Nature sure does some wonders in the sky. I posted a few of those myself, but I prefer the 'sunset' ones. 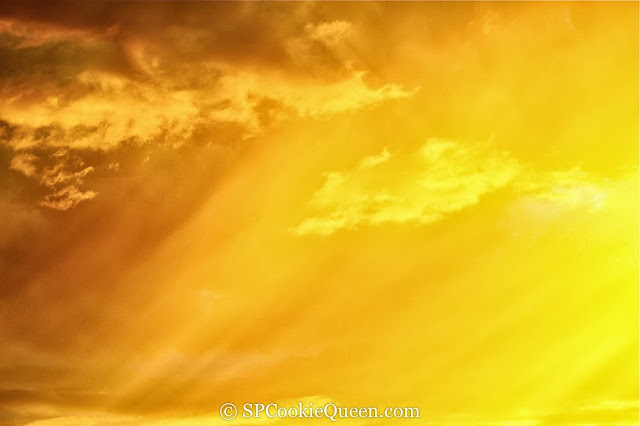 Your golden sky photo is 'magical'! Wow, I am jealous of your gorgeous skies! It's not so great in the mornings here, but tonight I saw the most amazing moon I have ever seen. And what great timing for these muffins! I JUST bought some flaxseed, and I was wondering what to do with it. I have my solution! There is nothing like a good lunch. I can't wait until Lucy is old enough to eat the lunches I'll make for her. I'm sure I'll have so much fun! Thank you for sharing these muffins and those beautiful pics! Too funny! Yes, the soda was my lunch in college, much as I hate to admit it. Today I don't touch soda... I guess I had my fill then. 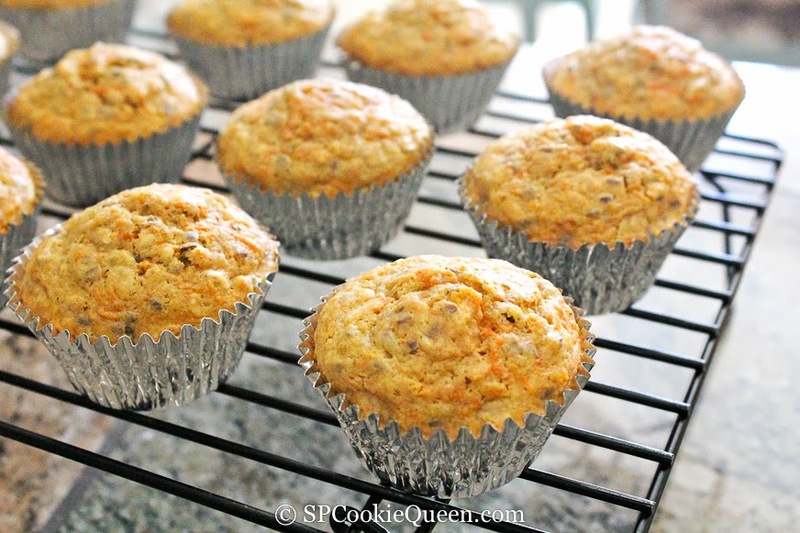 Love the Flaxseed muffins! I put flax in every recipe I can. The kids don't even notice anymore. These would be a hit for Liv and her dance friends! Keep up the good homework!! I'm impressed!! these are just what I need to be incorporating into my morning routine...what kind of classes are you taking?